It may be 30 degrees outside at the time of writing, but time waits for no man. Whether you like it or not, your next Christmas Party is approaching faster than you can say ‘red nosed reindeer’. If you’re thinking about organising some fabulous festive feasting and entertainment for your team, department or the entire office, now is a good time to get the bauble rolling. Let’s start with 5 essential thoughts that you should be clarifying in your head right now. 1 – When it comes to Christmas, the venue is everything. We all know that Christmas is much more than just a day in the calendar or a religious festival to be observed. December is a magical time of celebration, of loving and giving and of simply feeling good. When it comes to your corporate Christmas Do, the right venue should be conveying all that for you, which is why it is so important to find the perfect location, the best theme and the right package to make your staff feel truly valued, while staying within budget. Function Fixers can help you achieve all that, and with (jingle) bells on! As professional venue finders with decades of experience, we know the industry inside out including the most spectacular places to celebrate Christmas. 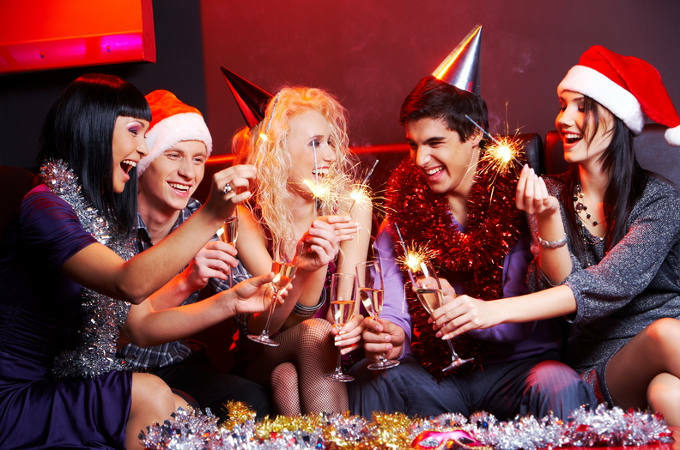 Why not share your Christmas party ideas with us and let us do the hard work for you? It’ll cost you nothing and save you time and hassle. Call it our Christmas gift to you. 2 – Aim to create an unforgettable experience. Rather than picking the best value Christmas package and thinking that will do, try to make this Christmas extra special for all concerned. The most memorable parties are the ones that are tailored exactly to the tastes and preferences of the invitees, so take a good look at your team’s demographics – young or old, quiet or loud, active or sedate? Now create the best possible party for them. Would a local pub with exclusive hire, transformed into a Winter Wonderland and serving a sumptuous Turkey Dinner fit the bill? Perhaps your colleagues are expecting a glitzy evening out in Central London such as the prestigious Sky Garden, a spectacular City rooftop venue on the 43rd floor of the Walkie Talkie, or the venerable Natural History Museum where you can dine in style under a stunning blue whale skeleton suspended from the ceiling? Whatever you choose, it’s the personal touch that counts. 3 – Think beyond the traditional Christmas dinner dance. The tried and tested format starts with cocktails at the bar followed by a formal sit-down Christmas Dinner, with mince pies and coffee at the end. Then the DJ opens post-dinner proceedings with a crowd pleasing floor filler and soon everyone is dancing the night away. A good time is had by all and there’s nothing wrong with that. However, it doesn’t have to be like that. The most incredible Christmas Parties you can now book are taking the celebrations a step further. From cool ice bars to hot carnival themed venues, Tudor style livery halls to contemporary opulence, London Zoo to Dream Circus – if you can dream it, there’s no reasons why you can’t make it real with the help of Function Fixers. Just contact us on 020 7186 8686. 4 – Choose your theme and step into a world of fantasy. Set your Christmas celebration apart from the rest by imaginatively theming your festive event. Narnia, Victorian Christmas, Santa’s Workshop, Christmas Murder Mystery, Fire & Ice, Candyland, White Christmas, The Nutcracker, Masquerade Ball, Nightmare before Christmas… the list is endless. What they all have in common is that from the moment you arrive at the venue, you’ll be transported into a world of wonder and fantasy. Just make sure you give your guests plenty of time to get familiar with the theme, especially if fancy dress is required, so that everyone can make the effort. 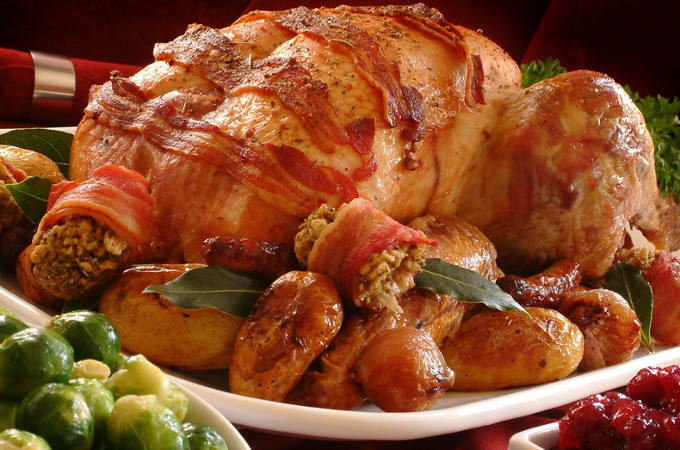 5 – Don’t forget the food, glorious Christmas food! Whichever way you look at it, no Christmas event is complete without festive food being at the centre of it. Whether you have a sit-down dinner or a festive buffet, your guests will be expecting the menu to be a culinary treat – it matters hugely. Depending on your particular office culture, this may mean an opulent Christmas Feast featuring everyone’s seasonal favourites. Or you could go off piste and have fun with the party menu. Go for Japanese sushi, Caribbean street food or chocolate fountains, or create a bespoke festive menu to go with your chosen theme.